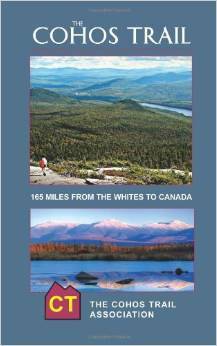 The Cohos Trail is 170 miles of wilderness hiking from southern Crawford Notch in the White Mountain National Forest through the Great North Woods to the Canadian border at far-flung Pittsburg, NH. Hearty souls can then continue on Sentier Frontalier’s trails to Mount Megantic or Mount Gosford in the Eastern Townships of Quebec, Canada. This network is the only international trail system in New Hampshire and the second international pathway in the East. There are many day hike opportunities along the full length of the Cohos Trail and a great deal of remote territory to explore where you may meet more moose than human beings. 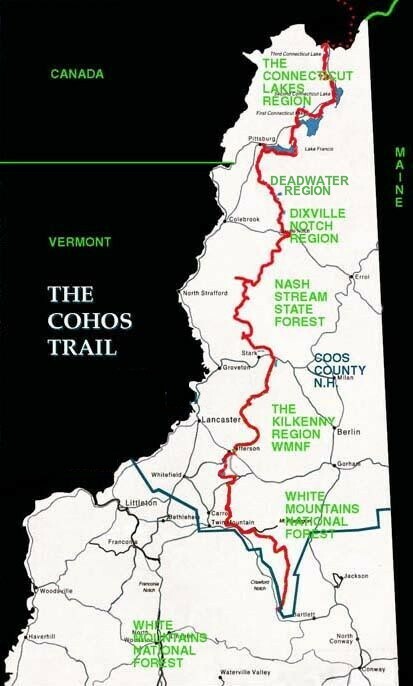 The Cohos Trail Association shall be dedicated to developing a solid recreational organization that plans, builds, funds, and maintains a long-distance, thru-hiking trail system – The Cohos Trail – over the entire length of remote Coös County, New Hampshire. The association’s mission shall also be to develop a system of shelters and tent platforms along the trail by forging close ties with local student groups, outdoor education programs, local outdoor enthusiasts, and local businesses and corporations, as well as state and federal officials. 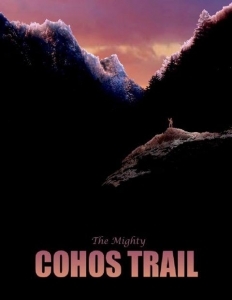 The Cohos Trail was first envisioned in 1978. The founder, Kim Robert Nilsen, was working as a reporter for a small weekly newspaper called the Coos County Democrat at Lancaster, NH when he wrote an editorial about the concept for a long-distance trail through one million acres of forest in New Hampshire’s largest and most isolated county. The idea languished for twenty years, but while on vacation in Maine, Nilsen revived the concept and began planning a trail route from Crawford Notch at the southern end of the county to the Canadian border 100 crow-fly miles away to the north. Hundreds of volunteers, from children to people in the eighties have worked on the Cohos Trail over the years, and they are still at it today. The rest, they say, is history. Many landowners, state officials, federal employees, local business people, school students, scouts, local camp owners, town officers, and many more have lent a helping hand. Almost everyone contacted and involved over more than 15 years has been enthusiastic and encouraging. Without their contribution, the Cohos Trail would not exist.